The Lotus Room has a super king size bed draped in the beautiful bird series ultra-luxurious Bianca Lorenne linen. The morning views are of the sun rising over the eastern hills. 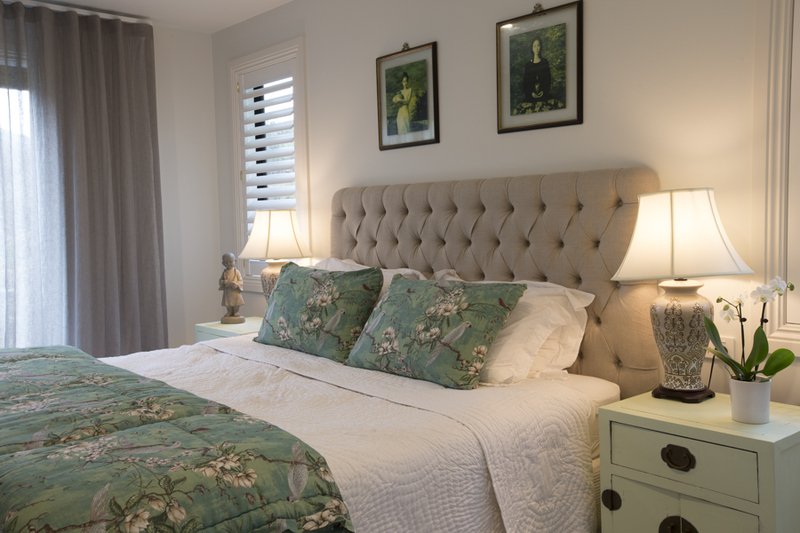 Decorated in soft tranquil greens, the ambiance created is peaceful and reflective. This room shares a stunning bathroom with the Lily room. 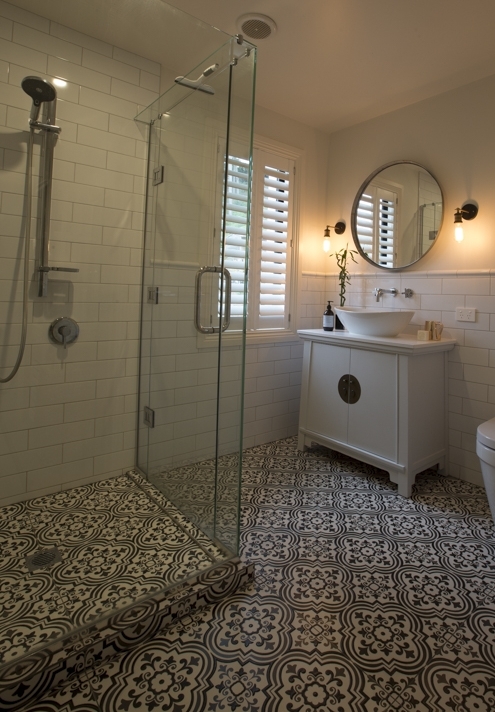 The Moroccan inspired tiles in the bathroom come from Italy, and the mirror was fashioned by a local New Zealand artisan from the steel rim around a wine barrel. The lotus room has direct access outside to the garden with your own special place to sit and read, meditate or or simply watch nature 'in action'. Each room has access to coffee and tea making facilities and the outdoor forest jacuzzi (spa bath).